of the hunt was only about finishing the set. offers nearly 500 cards overall, with 100 being foil versions. The lineup includes top rookies from the 2018 NBA Draft. that contains two pages for every team. the 2018 NBA All-Star Game, the 2018 playoffs and NBA Finals. 2018-19 Panini Stickers goes with five stickers per pack. and a (72) page Collector Album is also available. Dernière modification par Eyeshield21 le 13 oct. 2018, 12:35, modifié 2 fois. 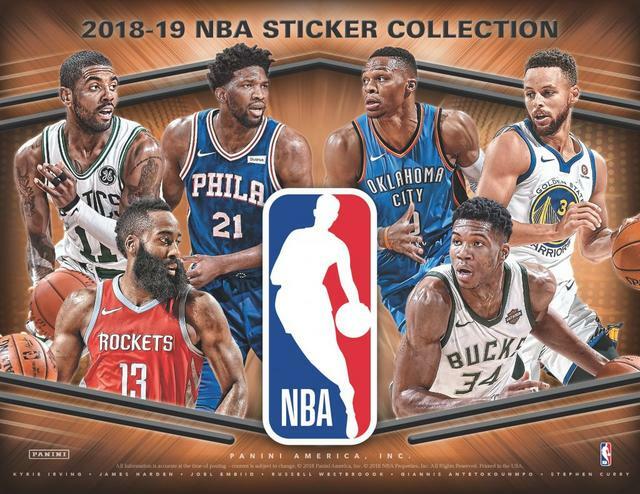 2018-19 Panini NBA Stickers keep things simple. it has only of the largest hoops checklist of the year of any hobby product. covering a variety of sections. of more than ten stickers. rookies and an illustrated caricature. All-Stars, the post-season and the 2018 NBA Draft. Dernière modification par Eyeshield21 le 13 nov. 2018, 14:53, modifié 10 fois.